Oil Search is committed to developing a future stream of talent through our graduate programme. 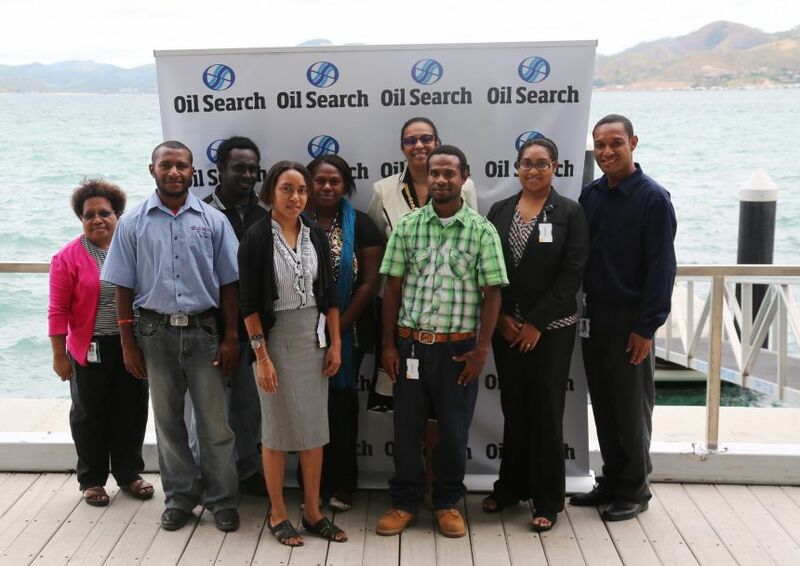 Oil Search is a great place for PNG graduates to discover and explore their potential. Oil Search provides employees with valuable opportunities to gain experience, skills and vocational qualifications. We work closely with PNG education institutions to ensure we continue to attract the highest calibre of new recruits. Since 2006, we’ve hired and trained local graduates in PNG from various technical disciplines, including oil and gas production, maintenance engineering, environmental management and finance. Over the past decade, the retention rate among our graduates has averaged more than 70%. Our Graduate Development Programme includes job placements to ensure exposure to various parts of the company, two residential programmes to develop personal and business leadership skills, and ongoing support and monitoring. The three-year programme is structured to involve senior graduates in the development of junior recruits so they get valuable on-the-job perspectives on life at Oil Search. Oil Search is PNG’s largest company and operates all of the country’s producing oil fields and has a 29% interest in the PNG LNG Project. With exciting growth opportunities like the potential expansion of the PNG LNG Project and proposed development of the Papua LNG Project, Oil Search is a great place for PNG graduates to discover and explore their potential. The company is truly global, with assets in Alaska and a corporate office in Sydney, Australia. Peopleconnexion PNG has been engaged by Oil Search to identify high performing PNG graduates to join the Oil Search Development Programme. At Oil Search, you will find an empowering and rewarding work environment with meaningful career development, skill- building training programmes and the opportunity to learn from the industry’s best. Also on offer is a competitive remuneration package including a host of job-related benefits, from mentorship to health and well-being programmes. In 2019, we are seeking to fill graduate roles in Port Moresby, Southern Highlands and Hela Provinces. Once you have submitted your application, you will receive an email confirming your application submission from the team at Peopleconnexion PNG. The team will review applications and inform you on the next stage of the process. Please note that there is no need to contact Oil Search directly at this stage. Thank you for your interest in the Oil Search Graduate Development Programme, we look forward to receiving your application.